Aby loves the results from using a Swiss Ball (sometimes referred to as Exercise, Pilates, Fitness, Stability or Yoga Ball), using the Swiss Ball instead of exercising on a flat surface forces the body to respond to the instability of the ball. So, this challenging workout requires extra balance, and requires more muscles to engage adding an extra dimension! A fun, low impact conditioning class, Aby’s Swiss Ball class mixes sequences of upbeat cardio with slow controlled exercises, focusing on strength and stamina reshaping the body and burning calories. With Aby’s thorough knowledge and training in Yoga and Pilates, group exercise and body conditioning, she has devised a unique Swiss Ball class to create an exciting, dynamic and complete body workout. Who are Aby’s Swiss Ball classes suitable for? To get the most out of a Swiss Ball class it is recommended that having a good sense of body awareness and knowledge of some Pilates and Yoga principles will help you enjoy and achieve in this class. As with all my classes Aby will still cater for varying fitness levels, and will suggest alternatives and encourage rest periods if needed. Not suitable for beginners or someone returning to exercise; if unfamiliar with Pilates or/& Yoga basic principles, or returning to exercise Aby would recommend attending several Pilates or Yoga classes before participating in a Swiss Ball class. Aby is a really great teacher and classes always give a full body workout I’ve never been stronger and fitter. Forever hooked! What if I have an injury or condition that might affect my ability to participate? What should I bring and wear to a Swiss Ball Class? When are Aby's Swiss Ball Classes? The ‘Swiss Ball’ was developed in 1963 by Aquilino Cosani, an Italian plastics manufacturer, known as ‘Pezzi balls’, they were used in treatment programs by physiotherapists in Switzerland. 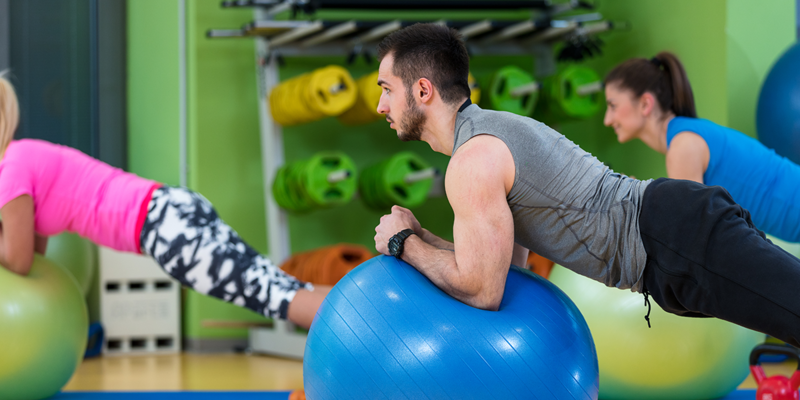 The use of ball exercises/techniques were integrated into physical therapy for neuro-developmental treatment, orthopaedic and medical problems. The name ‘Swiss Ball’ was used when American physical therapists began to use the techniques after witnessing the success in Switzerland. A wide range of exercises have developed from a clinical setting now into the fitness world which have incorporated Pilates and Yoga elements. 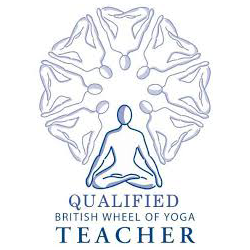 Please let Aby know if you have an injury/condition so she can offer guidance and direct appropriate exercises but most importantly Aby will let you become your own teacher; listen to how you feel and become aware of what the body is telling you, rest if needed. Bring water and maybe a towel. £5 pay as you go and Loyalty cards available.